Kotagiri is a panchayat town in The Nilgiris District in the Indian state of Tamil Nadu. This picturesque hill station is bounded by verdant green tea estates and offers a number of trekking options. Catherine Falls, Elk Falls and Rangaswami Pillar are the major attractions near Kotagiri and you can trek to these places. Kodanad View Point offers a spectacular view of the gentle sloping hills and blue hills. The three popular trekking trails are Kotagiri - Kodanad, Kotagiri - St. Catherine Falls and Kotagiri - Longwood Shola. 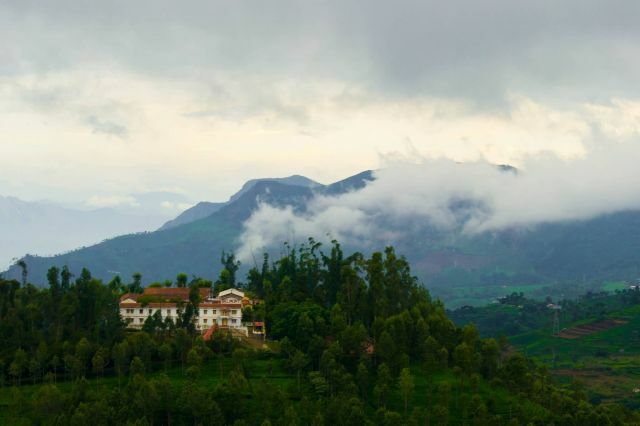 The Kotagiri - Kodanad trail leads you through splendid views of lush-green tea estates and the magnificent Moyar River. One has to cross through meadows to reach Kodanad.